Welcome to the very first Civic Engagement Thursdays blog post! Every Thursday, we bring you the latest events that try to raise awareness and make Miami a better place. Tune in every Thursday to learn about how to get involved within our community. Today from 6:00PM to 9:00PM, JoseÃ¢â‚¬â„¢s Hands and TLS Lounge are teaming up to host #PartyForACause. Come down to TSL Lounge at the Wynwood Art District and help celebrate JoseÃ¢â‚¬â„¢s HandsÃ¢â‚¬â„¢ five year anniversary. All proceeds will benefit JoseÃ¢â‚¬â„¢s Hands Medical Mission Trips. 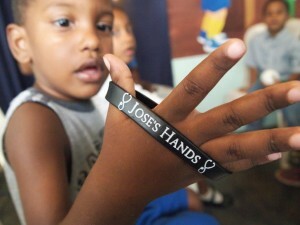 JoseÃ¢â‚¬â„¢s Hands is a non-profit organization first created in 2009. Since itÃ¢â‚¬â„¢s inception, has been raising money for medical trips to support those in need in the Caribbean and in Latin America. Thanks to generous donations, the organization has been able to attend eight medical mission trips and served thousands of people with no cost medical care. The theme of the night will be Latin Night and black attire is requested. So come, have a few drinks, party while raising money for those in need. Dress code: Black Attire (not black tie). Learn more about JoseÃ¢â‚¬â„¢s Hands!